To access minutes please click anywhere in the box. 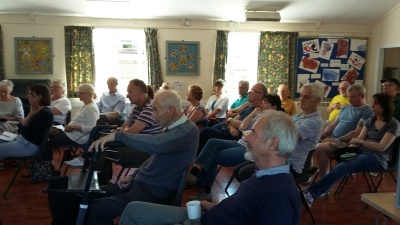 This summer the Neighbourhood Plan Group concentrated on getting the info out there about the shortlisted sites. This meant we saw a lot of you at the two workshops (20th & 29th) and also at the Village Fayre on the 12th. These minutes are from the April 28th meeting in which feedback from the Sites Exhibition was presented and discussed. Click in the box to access or download the document from the home page. There was no meeting held in November. The final meeting of the year was on December 3rd 2016. 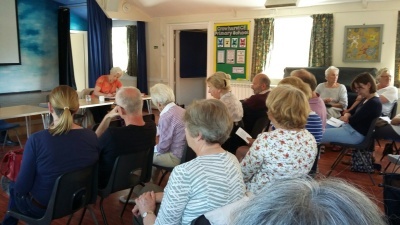 No meeting was held in June because of preparations for the survey. July Minutes are available by clicking in the box. as this was the preparation period for the Sites Exhibition. 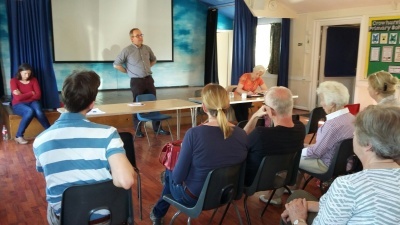 These minutes are from the May 21st meeting in which the shortlisted sites were outlined and discussed. Click anywhere in box to access. Our first gathering of 2017 was held in the Village Hall on the 21st of Janaury. Lots to talk about! The Neighbourhood Plan Group had a stall at the Crowhurst Village Fayre on August 13th. 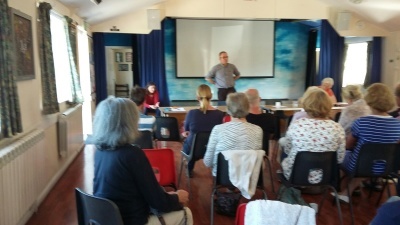 This included a display of maps and information and it was wonderful to talk to so many of you who had not previously been aware of the Neighbourhood Plan and what the village is doing. Some pictures from the fayre are on the Community Gallery Page. 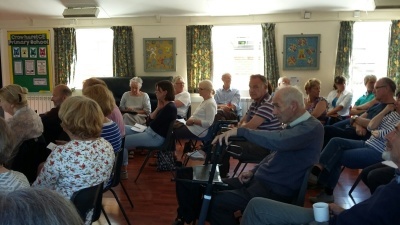 This summer meeting in the Village Hall was also a fundraiser for the Neighbourhood Plan. Strawberries, scones and cakes were on sale alongside displays and information about the Neighbourhood Plan and its progress to date. 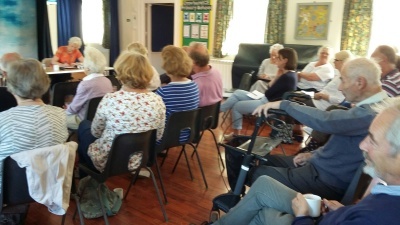 The first meeting on the Crowhusrt Neighbourhood Plan was held in the Village Hall on 22nd November 2015. Minuters from that meeting can be accessed by clicking anywhere in this box. This long period was spent collating feedback from consultations and exhibitions and assembling the mini mountain of documentation required for us to proceed. We submitted the Reg 14 Consulation to RDC for its 6 week consultation period from January 16th - February 28th. We amended our draft and have now submitted the Reg 16 Consultation to RDC. See relevant website pages above for full info about these. 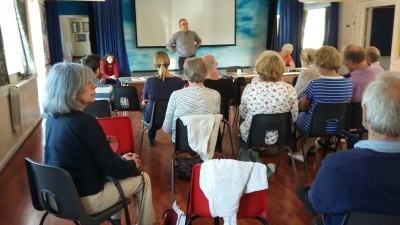 For regular updates please continue to attend the monthly Steering Group meetings or to check the Steering Group Page of this website where you will always be able to find the most recent summaries of these meetings. On October 1st there were displays and presentations on the results of the Public Survey. A summary and a full report of the results can be accessed from the Home Page. 1. 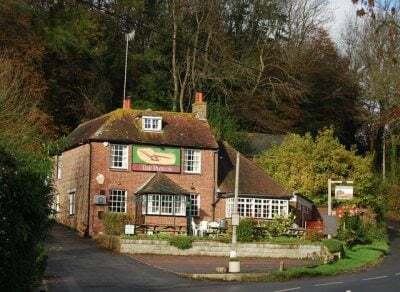 Our Vision for Crowhurst is to maintain its rural character by protecting the countryside and environment around its boundaries, promoting community spirit and enhancing infrastructure, facilities and services for residents of all ages. Ensuring new developments are sustainable and minimise adverse environmental effects and road traffic impact. 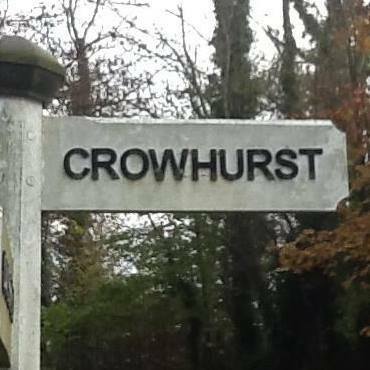 Crowhurst Neighbourhood Plan members at the meeting on 24th March showed a preference for the wording in the first Vision. In the village survey, 98% of respondents agreed. Therefore, the first vision wording was finalised and approved for use. 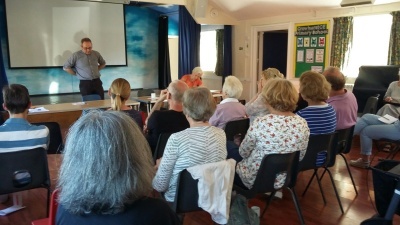 ​Please get involved by coming to the next meeting. 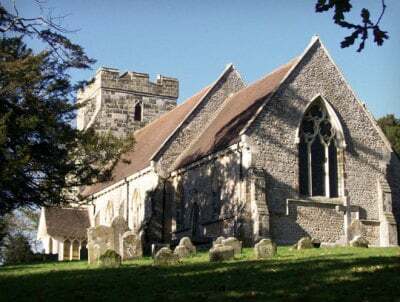 You can contribute, raise concerns or just listen and learn more about what we are doing and the progress of Crowhurst's Neighbourhood Plan.